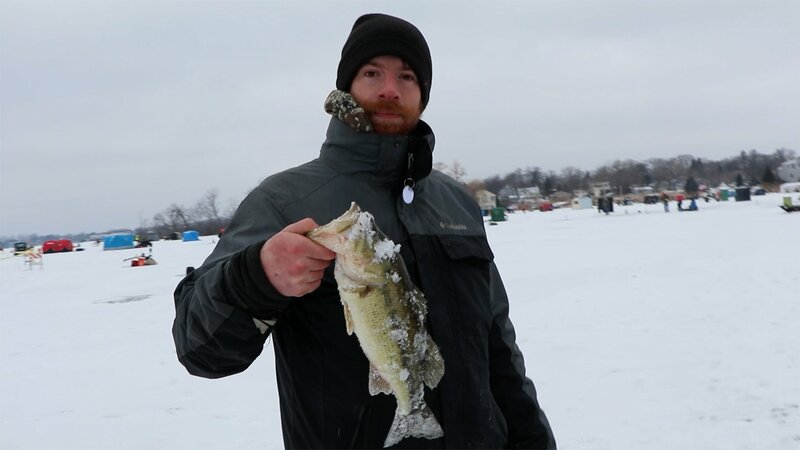 Nearly 450 fishermen flocked to the 10th annual LVVA Ice Fishing Derby on Bangs Lake in north suburban Wauconda earlier this month. The catch-and-release ice fishing competition raises money for organizations and programs benefitting U.S. military veterans. This year’s event was postponed twice due to the erratic wintry weather. It took place on March 2, with temperatures hovering around freezing. Ice is generally safe to walk on if it’s at least 4 inches thick. The ice on Bang’s Lake measured about 10 to 12 inches in width – plenty thick for people, snowmobiles and even vehicles. Awards were handed out for biggest fish caught based on species – including a northern pike that measured more than 37 inches long. Jacobsen said after factoring operating expenses for the event, this year’s ice-fishing derby raised about $10,000 for the nonprofit TLS Veterans Outdoors.